Tone. Tighten. Freshen. Soothe. Hydrate. These five seemingly simple benefits are what we want from most toners, but very few can deliver. Australian brand Mukti makes the promise with its Neroli Blossom Balancing Mist Toner, though, and exceeds expectations. 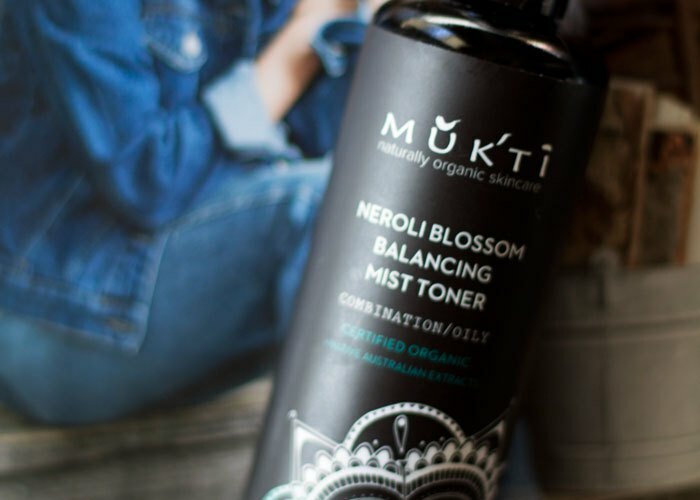 Designed for combination / oily skin, Mukti Neroli Blossom Balancing Mist Toner is a mild astringent blend that’s somehow never overdrying and always soothing with each spray. I can easily binge-mist on this toner without having that icky, sticky, tight feeling yet experiencing noticeably happier skin. The beautifully uplifting aroma, care of neroli (smells like oranges, in case you didn’t know), instantly awakens and uplifts without feeling too bright or intense to the senses. It’s a wonderful morning mist for tightening the skin before you apply serums and moisturizers. Besides neroli, Mukti Neroli Blossom Balancing Mist Toner has a diverse and interesting array of ingredients that only an Australian brand can boast. Kakadu plum, finger lime caviar, aniseed myrtle and native pomegranate stand out as the unique and inspiring key ingredients that make this toner special. Kakadu plum is said to contain the world’s highest concentration of nutrient-available vitamin C, a powerful antioxidant that we all want in our regular skincare. Finger lime caviar (what?!) is another potent antioxidant that’s an interesting addition to the mix, while aniseed myrtle and native pomegranate up the antioxidant protection factor even more. *Certified organic ingredient. Certified by the Organic Food Chain (OFC). Accredited organic processor #0484. Organically produced 95% of product. Naturally occurring constituents in essential oils: citral, farnesol, geraniol, limonene, linalool. But when it comes to actual use, the only thing that annoys me about this mist is the spray. Unlike some of the Miron glass spray bottles I’ve tried, Mukti’s is never cooperative with me. It takes several tries before the mist actually comes out, and sometimes it’s puny. I don’t know if this is because of an inherent problem with my particular nozzle, or if others have experienced it, too, but it drove me mad enough to the point that I poured the toner into an unmarked mist bottle I already had so I could actually enjoy the product. Mukti, please address! Besides the functional issue with this spray, I love this toner. It’s one of those in-between toners that I can use whether I need a little astringent activity or a little refreshing. It’s not heavy on the moisturizing properties, but it’s not going to dry you out. It’s the perfect formula for the truly oily / combo skin types who follow their cleansing and toning game with light layers of moisture in order to control shine and heavy-feeling skin. I definitely recommend trying Mukti Neroli Blossom Balancing Mist Toner if you’re in Australia or have a stockist near you! In the States, you can find Mukti in Los Angeles, New York and Philly. Have you tried anything from Mukti? What amazing Australian skincare lines have you found? What has been your experience with Miron glass toner bottles? Tell me in the comments section!